Lithograph illustration for the back cover of the McCormick Harvesting Machine Company catalog. 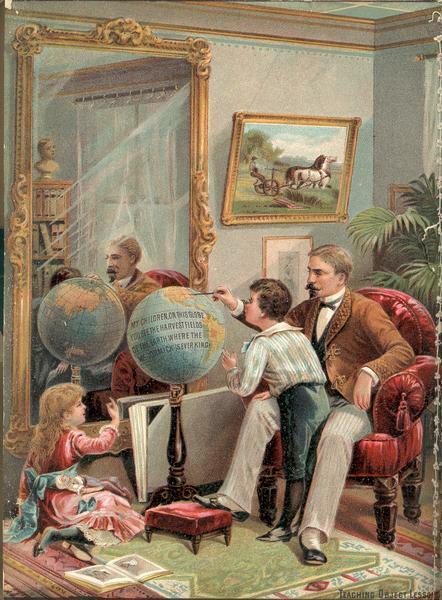 Shows a gentleman sitting in a Victorian parlor pointing to a globe for a boy and girl. Includes the text: "Teaching object lessons: my children on this globe you see the harvest fields of the earth where the McCormick is ever king."